Bhakti Yoga is the science of emotions' culture. We are in an era of science and technology, developing ourselves predominantly at the intellectual level. This development of the intellect characterised predominantly by an increased power of analysis, logic and discrimination, no doubt, has brought us great dividends and we have been able to unravel the mysteries of this physical universe in its greatest depth. For example, we have understood that energy is the very basic fabric of the physical world and that matter is bottled-up energy, as well as the laws that govern them-classical and quantum mechanics. The scientist in us has started progressing further to understand the subtler dimensions of the universe. The left brain development is fantastic, probably, unseen over the last five centuries. However, we have started realizing that our right brain related to emotions is hardly trained. We often get stuck with emotions such as grief, hatred, jealousy and selfishness. We want everything for ourselves. Selfishness has increased and there is no concern and love for others. Our human aspect, our heart has yet to blossom in comparison to our head. Unless the heart opens up, we cannot call ourselves as real human beings. We are merely intellectualy-rational animals. This lopsided growth of left over the right brain in man has resulted in increasing anxiety, restlessness and health hazards in the form of large number of emotionally suppressed disorders like asthma, diabetes, hypertension, heart problems, anxiety neurosis or psychosis. We are continuously being tortured, tossed up and down by waves of excitement and depressions and thus, consequently, the quality of our lives is fast deteriorating. At the global level, wars have not reduced. A rat race to acquire more and more arsenal consisting of even nuclear and biological weapons continues in all the affluent countries. The developing countries are forced to become parties to this rat race not to dominate and exploit other countries but for their own survival and to maintain the power-balance. The role of superpowers has clearly been to maintain their supremacy. Wars are promoted to increase their power and their business. Whereas human love and affection have been confined mainly to talks and newspapers. They would rather throwaway tons and tons of wheat and rice into the ocean than give the same to underdeveloped or undeveloped countries. Whenever we give aid to an underdeveloped country, there are always strings attached. Developed countries exploit needy countries by having defence bases in those countries they help, they try to gain control over the entire region. They are very business-minded and always ask the government 'If we help you, what is in it for us?' Selfishness dominates the scene. Thus, it is evident that we have developed the left brain associated with rational thinking, which is only partially useful to our total growth. For a holistic growth, we must have our right brain also well-trained and that is where the science of emotions' culture comes into picture. It can instill in us the right value system applicable throughout the world. Otherwise, our economic-based value system will continue. As prayed in the song nirmanom ke pavana yuga mem, ham caritra nirmsne na bhulem '') "as we are stepping into the new millennium, let us not forget the human aspects" the innate development of the heart and the emotions' culture. Else, we will be stuck with greater problems than what we are facing now. "India will be raised, not with the power of the flesh, but with the power of the spirit; not with the flag of destruction, but with .he flag of peace and love." Unfortunately, our entire educational programme, has never emphasized the culturing of our emotions or the development of our heart. Instead, all the time, we are harnessing the powers of our left brain, the powers of rational thinking which, no doubt, are necessary. But there is a vacuum among our students, as far as control over emotions is concerned. For ego if somebody were to accuse us of doing something wrong we immediately get upset and depressed. We are under emotional stress not for a few minutes but for hours and days together. Sitting in a corner, we are unable to come out of this mood. Why? simply because we have no control and mastery over our emotions. We have not trained our right brain. Therefore, to strengthen the function of our right brain, and thereby control our emotions, it is but mandatory that we must introduce the science of emotions' culture in our schools right from childhood, from primary stage. If children can start imbibing these qualities of love, peace, quiet, affection and compassion, from their school days itself, naturally they will have a well-laid foundation for their all-round personality. They will become the torch bearers of peace and harmony in the society. Otherwise, the children may pick up the gun culture, or the drug culture and go out shooting others just for fun or to rob , if not for drugs. Even the teachers are not spared from the guns of their own students! Is it not the height of atrocity and human degradation? The emotional training programme is most essential and can be the basis to introduce the value-oriented education. It is really fortunate that the Government of India has accorded emphasis to value-oriented education and has started including the same in the curriculum as a part of the education policy. It is great that an honest beginning is made with the introduction of the real aspects of human development as the main theme of our education policy and not merely to cram information into the brains of our children. 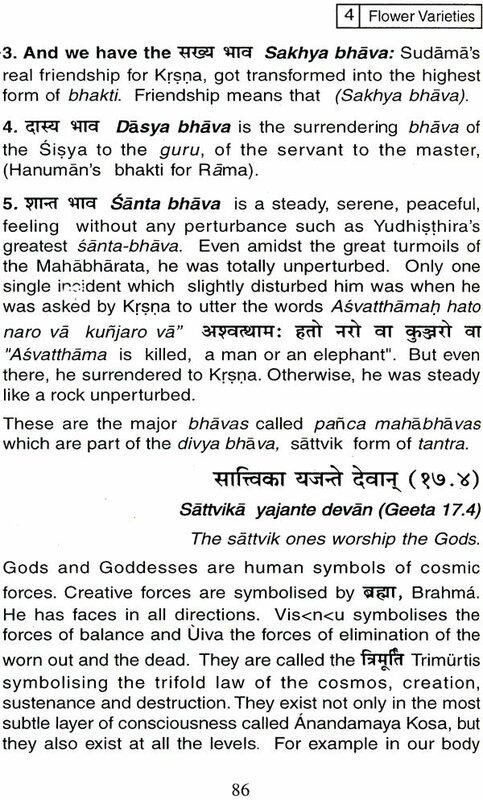 Indian culture gives several techniques to culture the emotions and this is contained in what is called Bhakti Yoga. Bhakti Yoga- -the science of emotions' culture helps to train our emotional faculty, makes us mature, to have love for our nation and society in tune with universal brotherhood. This path of emotions' culture broadens our vision to overcome our pettiness, gross selfishness, hatred, greed, jealousy and raises us to the highest levels of universal brotherhood and oneness by. There are four main streams of Yoga: the path of intellect-Jnana Yoga; the path of will-power-Raja Yoga; the secret of actions-- Karma Yoga; and the stream of Bhakti Yoga in which we train and harness our emotions. In this book containing eight chapters, we present the broad spectrum of this science of emotions. The first chapter captioned 'The Tree', elucidates the concept of head and heart. The second 'The Bud Opens' starts off with the first step in the science of emotions' culture: moving from mundane love to real Jove. 'Blossoming of the Flower', chapter three, explains the training of emotions further to surrender and God realization. In the fourth 'Flower Varieties' the paths of worship are indicated. The fifth 'Unity in Diversity', and the sixth 'And the Fruits' takes us to the higher- -superhuman dimensions of growth. The seventh 'The Fruits Around' refers to the technology of emotions' culture'. The last 'The Fragrance Spreads' is a brief presentation of the useful applications of this science in the modern society. Human beings are bundles of emotions and thoughts. These emotions and thoughts arise as a reaction to the environmental surroundings and are caused either by interactions with other beings or by the influence of ideals. There is hardly any human being who has not displayed any emotion in his or her life. Even the most--"stiff upper-lipped " person or even a die-hard, cold-blooded individual has secret feelings or attachments. Hitler had his pet dog and Stalin, his daughter. There is one danger in the experience of such emotions. They tend to distort our perspective of life, leading sometimes to irrational or fanatical behaviour. What does Yoga have to say about controlling these emotions? Control the mind, the seat of all emotions, says Raja Yoga. Think of others before you think of yourselves, says Karma Yoga. Realise that you are not this mind, says Jnana Yoga. Sublimate them by surrendering yourselves to the Lord, says Bhakti yoga. 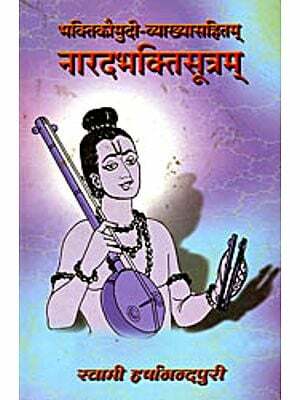 Bhakti is dualistic in nature. It is a triad--a Triputi; there is the Bhakta or the devotee; there is the Lord, the object of devotion; and there is the process linking the two, Bhakti or Devotion. For a Bhakta, there is only the Lord and nothing but the Lord. He lives with Him, in Him, for Him and because of Him. His devotion is one-pointed Ananya. Life has meaning for the Bhakta, because He exists. India can proudly consider herself as the land of Bhakti. Millions of devotees down the ages have made this land holy and they continue to do so even today. Who can ever forget the ecstasy of Love for the Lord as displayed by Sri Caitanya, Sri Ramakrishna and others? According to Sri Ramakrishna, Bhakti is the easiest path in the modern times, because of our intense body-consciousness. Bhakti appears in the heart as a seed, which sprouts, blossoms and yields fruits and spreads its fragrance all around, enveloping all who come under its influence. This is the analogy used by Dr Nagendra in this book, a very apt analogy indeed. Hundreds of afflicted people, who have become victims of their unbridled emotions leading to Psychosomatic diseases, have been helped by yogic practices, not only of Raja Yoga or Hatha Yoga, but also by Bhakti Yoga, in the Prashanti Kuteeram campus of Vivekananda Kendra Yoga Research Foundation. What Dr Nagendra has written in this book is based on his personal experience and observation. which adds great value to the text. 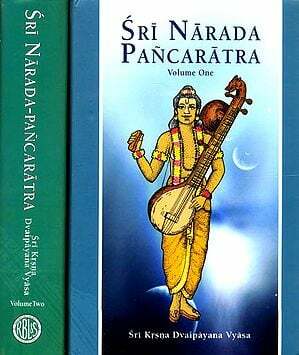 I have absolutely no doubt whatsoever that readers will benefit greatly by a study of this book, which has so much to offer for Bhakti Sedhekes.